The Seed Library provides a way for local gardeners to share seeds and gardening tips. preservation of heirloom and heritage seeds. Let’s get started together! 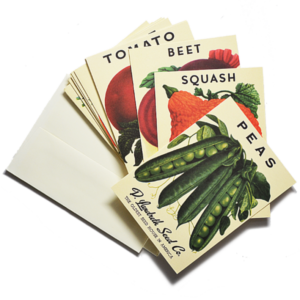 Select the varieties that interest you and request the seed envelopes from the Adult Reference Desk (only one envelope for each variety). 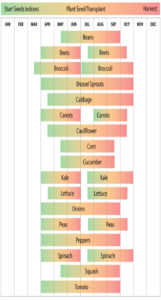 If you’re new at gardening, try some easy-to-grow crops, like beans, peas, lettuce, and carrots. 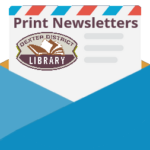 Check out your seed envelopes at the Adult Reference Desk (you must have an active library card). Take your seeds home and plant them, following the instructions on the envelope. Watch your plants grow. Weed and provide support if necessary. Enjoy the delicious vegetables or beautiful flowers you have grown! Save seeds from your plants and return them to the library to share with the community next year. Browse through our collection of Organic Open Pollinated and Heirloom seeds. 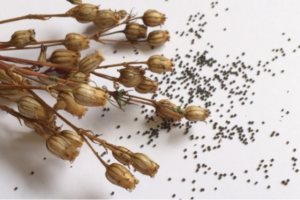 Open Pollinated are seeds that naturally pollinate and have adapted to our local growing conditions over time. Heirloom seeds are varieties that have passed down through many generations in a family or community. If you are a beginning gardener, select just a few packets, concentrating on seeds that are considered “easy to grow”. These include bean, pea, lettuce, and tomato. Sign up as a participant in our Seed Library program, then use your library card to “check out” the seed packets. You might also want to browse our gardening books to learn more about your seeds and soil. When you get them home, keep your seeds dry until ready to plant. Follow planting instructions for each variety, noting when and how deep to plant. A chart for planting in our area is included on the back of this brochure. Some plants have to be started indoors and transplanted after the last frost date. In our area this is May 15th. Gardening is a great outdoor family activity and a way to reduce the stress of a long work day. Caring for plants and watching them grow is a very fulfilling activity. Share your photos with us to let us know how you are doing. 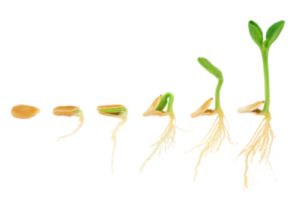 We would like to send you a follow up survey to let us know how your seeds grew. Use a quality seed-starting mix, not soil. Plant seeds in old TP rolls and egg cartons. Provide heat and direct light. Keep the surface moist until seedlings start. Help us keep our seed library going! If you would like to save seeds to share back to the library, make sure to save seeds from your strongest, tastiest and most vigorous plants. For plants with seeds that grow in pods or on the outside of the plant, allow the seeds to dry on the plant and collect them before they break open. These include flowers, herbs, beans, and carrots. For plants with seeds that grow inside the flesh of the fruit, the seeds will need to be rinsed off and dried thoroughly. These include tomato, watermelon and squash. 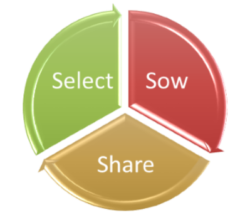 Save some seeds for yourself, and return a portion back to us, and watch our community grow!